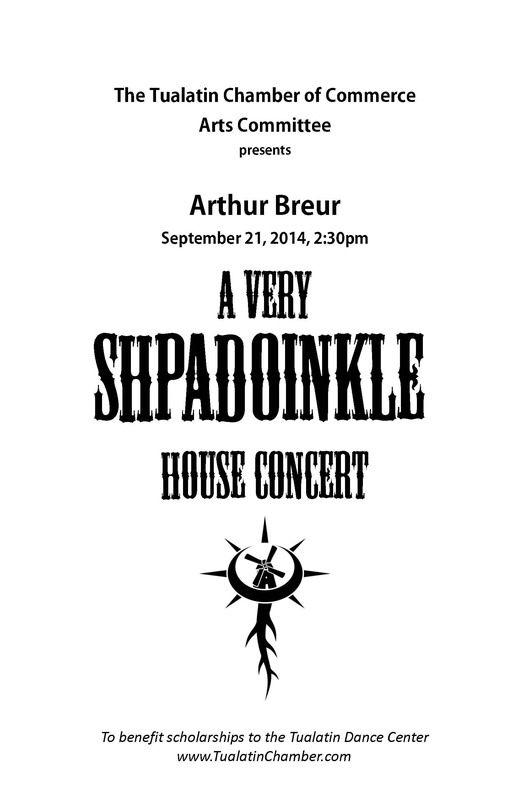 Arthur Breur is available for concert performances with audiences of any size. 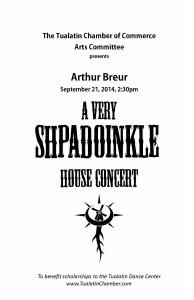 Arthur’s favorite performance venue is the House Concert, in which he can interact directly with the audience in a more intimate and personal setting. If you have, or know of, a home or other small private venue with a piano (well maintained and in tune!) and would like to arrange a performance, please send a message. Performing to promote and sponsor charitable causes is an important part of Arthur’s personal mission, and he is happy to contribute his talents toward good and meaningful causes. As an example, on September 21, 2014, he performed a house concert and successfully raise funds for the Tualatin Chamber of Commerce Arts Committee to provide funds for a child to attend the Tualatin Dance Center.